July 8, 2008 by d.
yay! it’s done and it’s real yummy! this is really a keeper! my first pie dough too! 🙂 i definitely didn’t use a food processor… maybe that’s why my dough turned out weird. 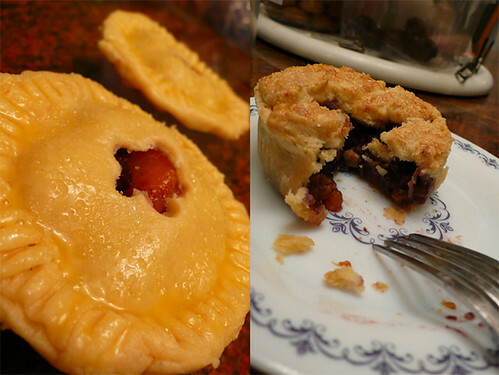 but it was so yummy i went to use the rest of the dough for another 2 more mini pies (i only tried half the recipe… the family can’t keep up with the baking) anyway here are some pictures. i didn’t manage to take much coz i was so tired last night to really document the process. yes. it’s still in the oven. and i’ve only manage to fill in a one mini pie tin. 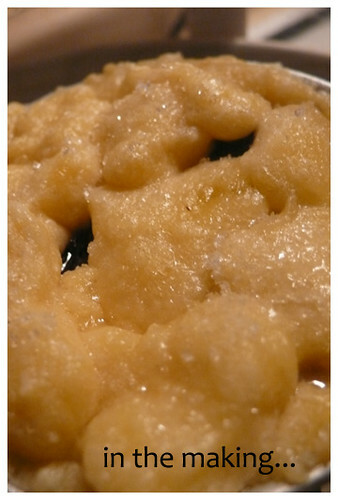 i think i should try to avoid recipes which require dough. mine just melts away … 😦 anyway. let’s see how this one turns out. 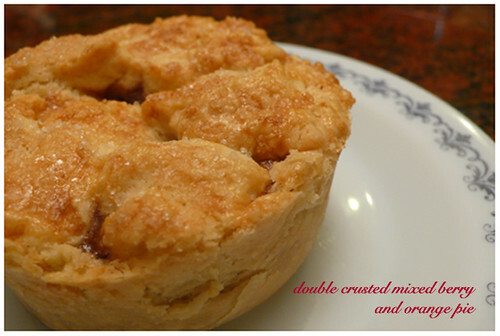 Cute mini pies and great pictures. They look absolutely delicious. Really nice. Those mini pies are adorable. Good job!